Cheap Blackboards W/Chalk & Erasers - 12 Ct. 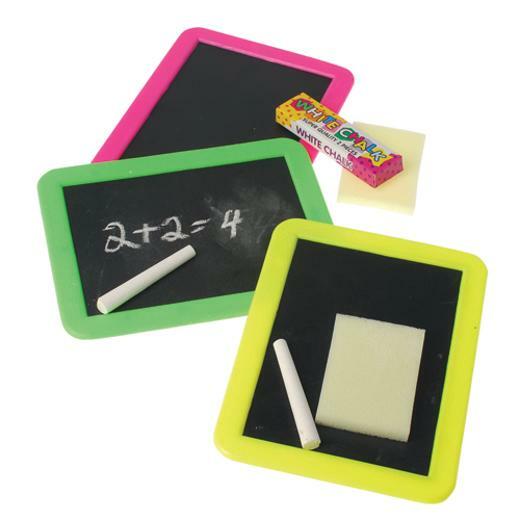 This mini chalkboard is perfect for students who are learning math or how to spell. They can quickly write an answer down and then erase to practice the next question. L: 9.5 in. W: 13.5 in. H: 3.5 in.